Paulo Sibaja serves adjunct faculty for The Leadership Institute. Prior to work as faculty for the Leadership Institute, Paulo served as Strategic Initiatives Director, Colorado for the Republican National Committee. Prior to rejoining the RNC Paulo was the Director of Coalitions for the Leadership Institute Paulo was also appointed as Chairman for Latino NRC in Virginia. 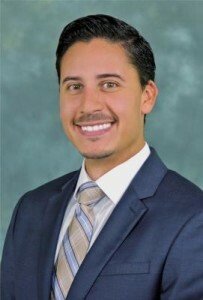 Paulo previously served as the Deputy Coalitions Director in Colorado for Mitt Romney for President and State Director of Hispanic Outreach, New Mexico for the Republican National Committee (RNC). Copyright © 2019 American Principles Institute. Web Design by Digital Attic.